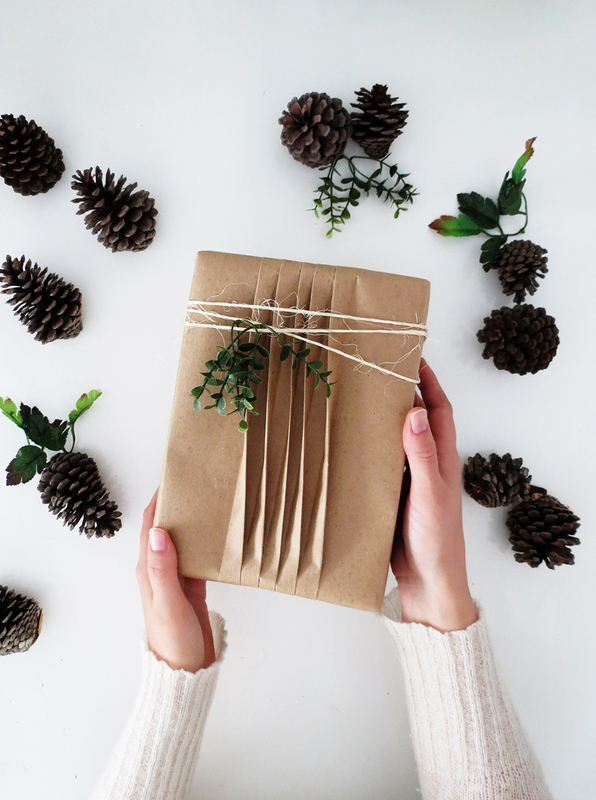 A pretty gift wrap can make all the difference, don’t you think so? No need to tell that after the Christmas shopping I don’t want to spend much money on gift boxes. 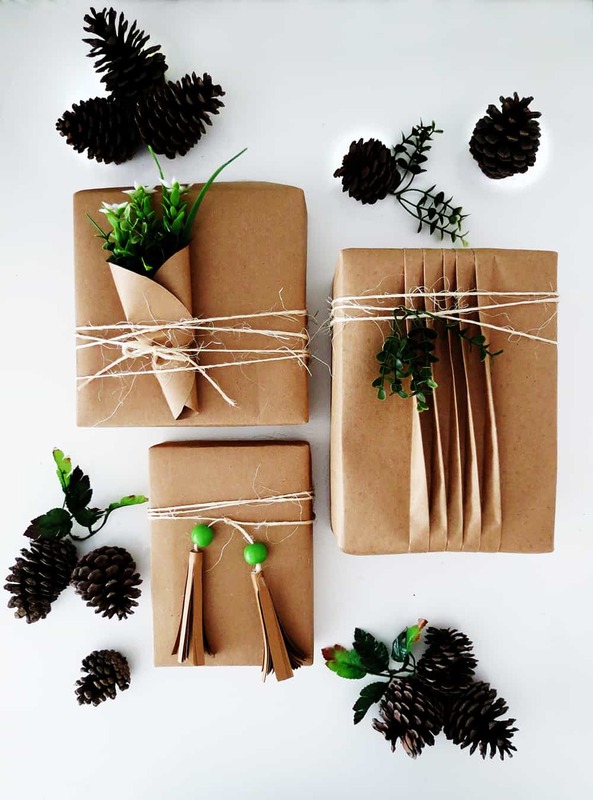 So I will share 3 ideas to make pretty present wrapping using brown paper and rope. 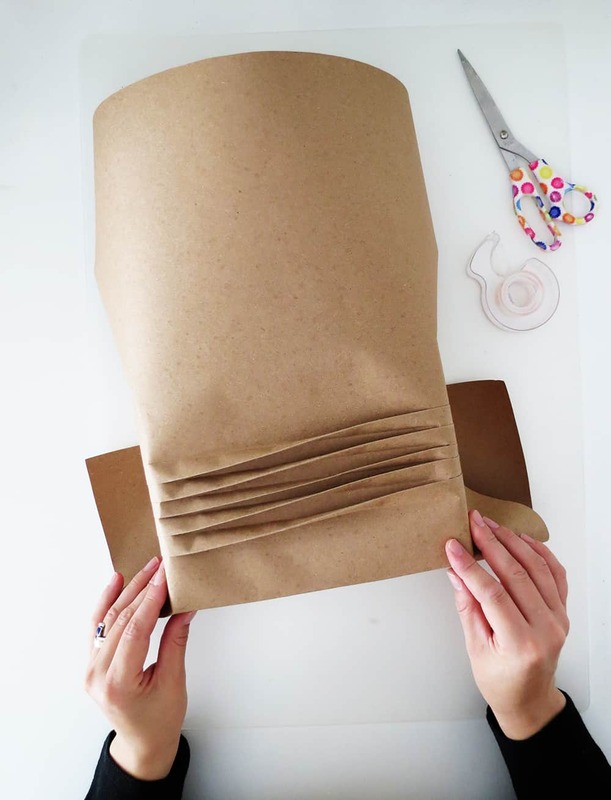 The first wrapping ideas is made with folds and it’s a little more complicated than the two others. 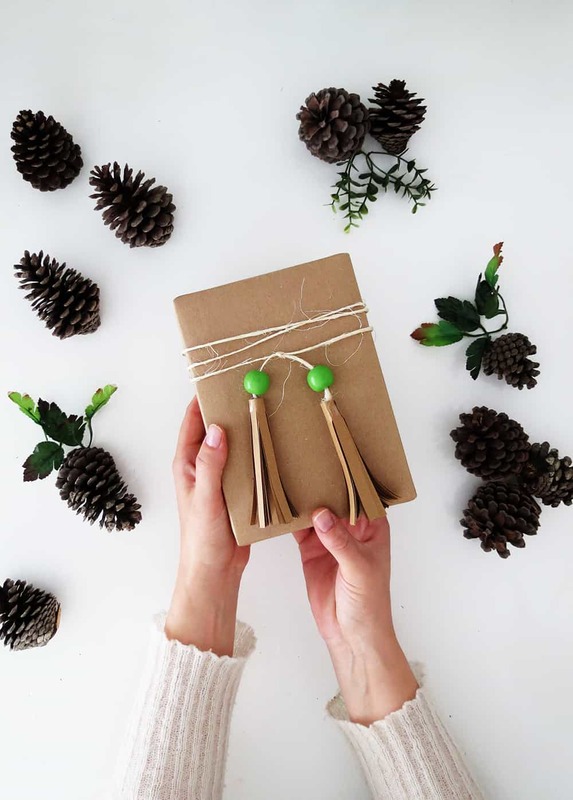 So if you are on a rush or have dozens of presents to wrap you can skip it a go the the second tutorial to make a flower bouquet gift topper, or to the third tutorial to create a pretty tassels gift. some artificial or dry leaves. 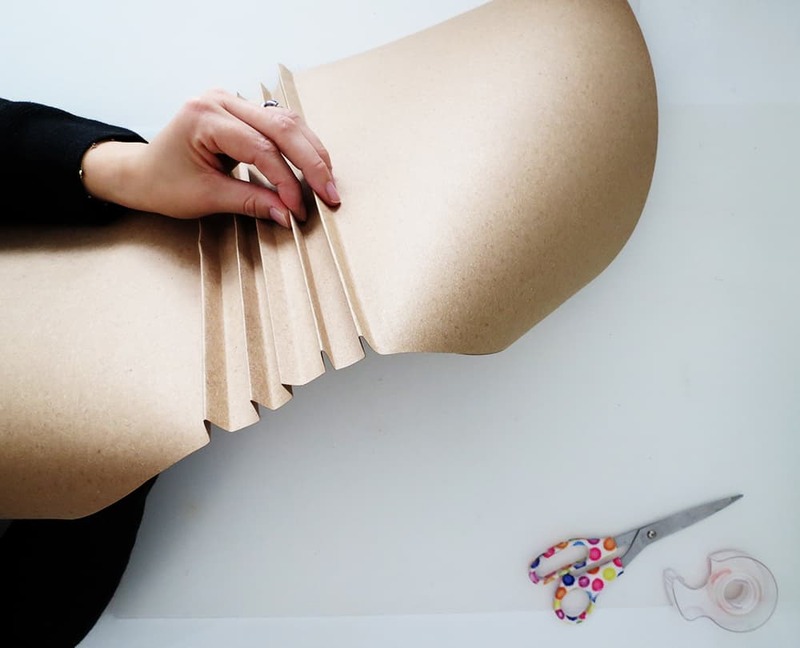 Cut a piece of brown paper big enough to cover your gift. 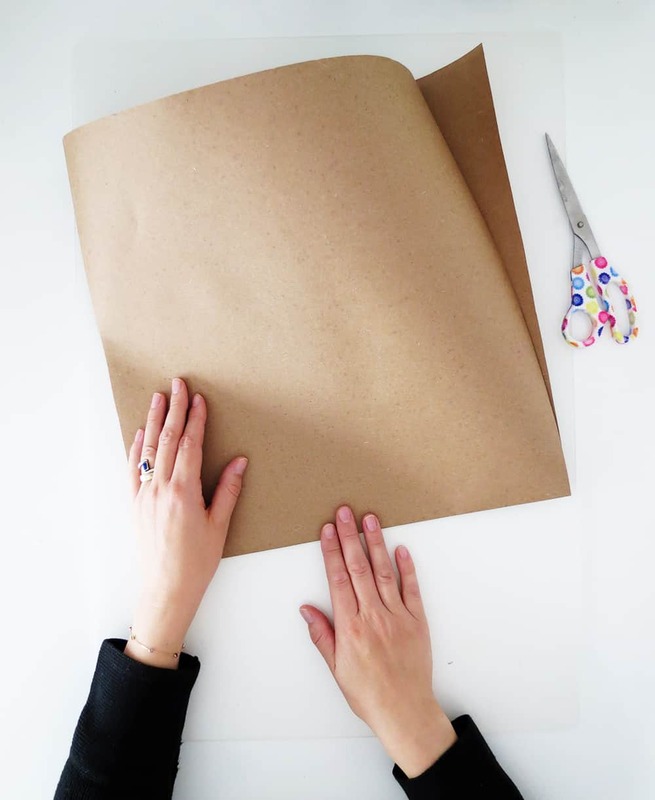 Because you will need extra paper to make the folds, the lenght of the paper must be 12 inches longer that the dimension you will normally use. 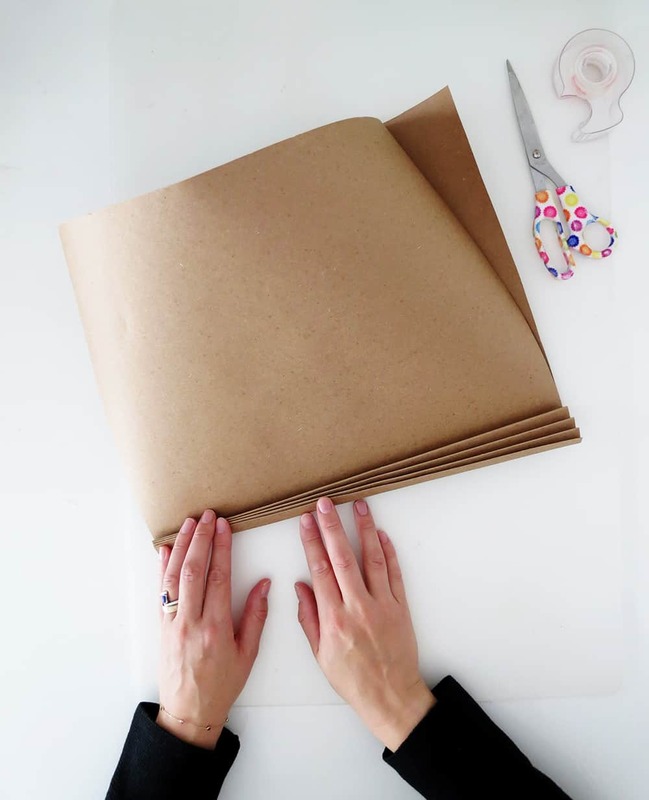 Fold the paper in half width wise. Starting from the fold make smalls accordions folds of more or less 1/2 inches. Unfold and open the paper. Use the folds to create some U shapes. Some folds will be in the right direction, others will not. No worries you just need to arrange the folds to have U shapes that follow each other. Flatten the folds down on the left side and fix them with tape. Flatten the folds up on the right side and also fix them with tape. Center the folds on the gift and keep wrapping it as usual. Add some rope and a few leaves for a pretty finish. some artificial or dry flowers. 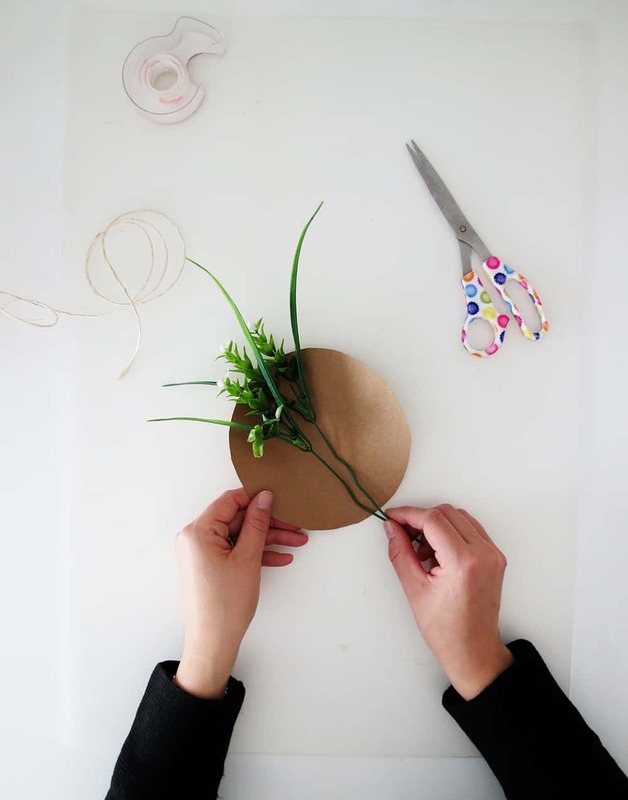 Cut a circle in the craft paper, you can use a bowl or a small plate as template. The size of the bouquet will depend of your present. Try to make the circle slightly smaller than the gift size. Place the flowers on the paper circle and wrap it around them. Make a knot with a piece of rope to attach the bouquet, don’t be afraid the tight it a little. 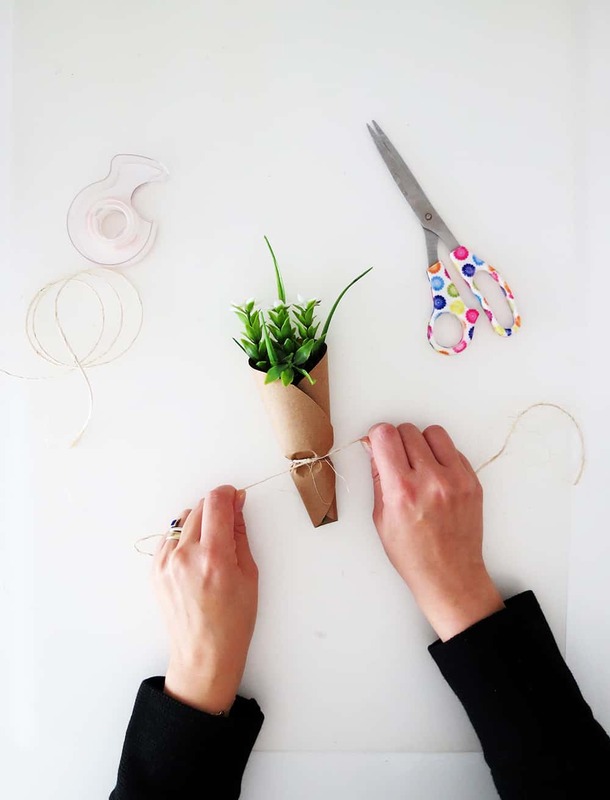 Wrap the gift with craft paper, place the bouquet on top and attach both with some rope. Cut 2 rectangles of 7 x 3 inches in the craft paper. Cut fringes leaving a 1 inch uncutted edge on one side. 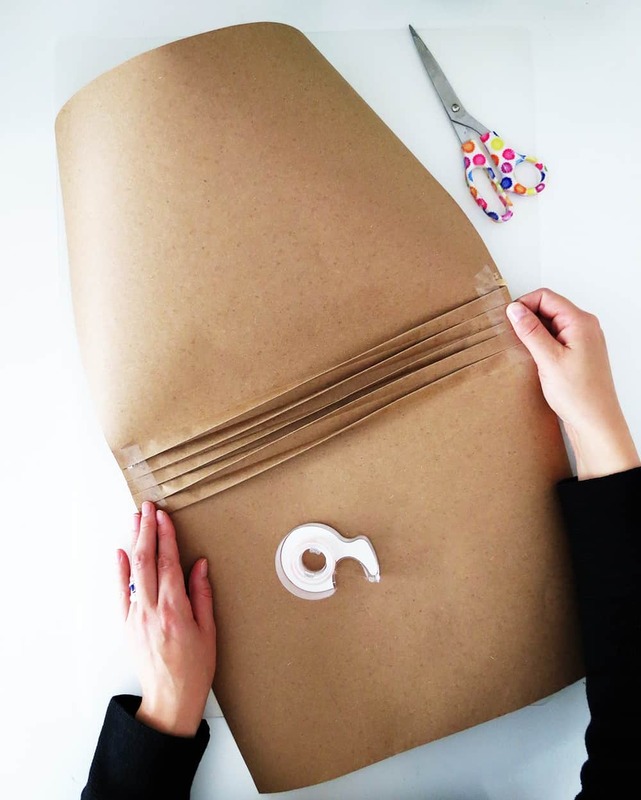 Wrap the uncutted part on itself, add some glue and hold a few second while the glue dries. 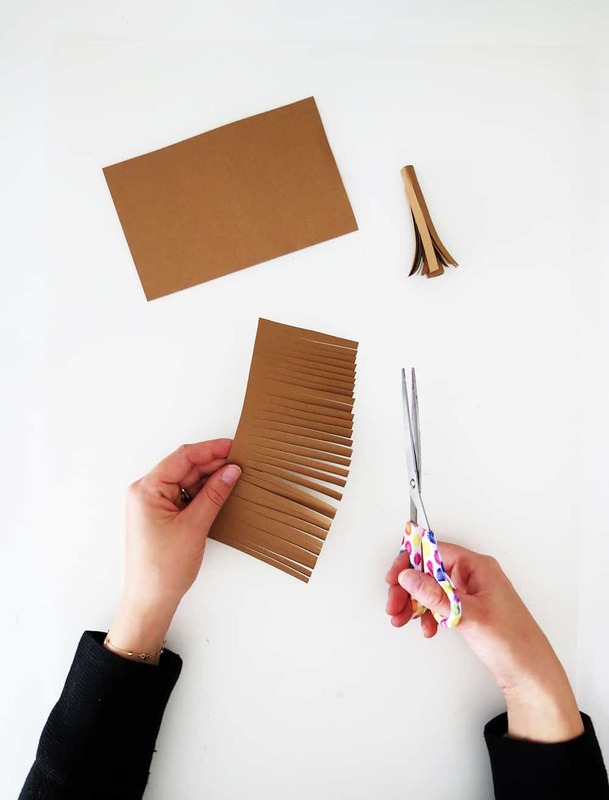 Make a second tassel the same way. 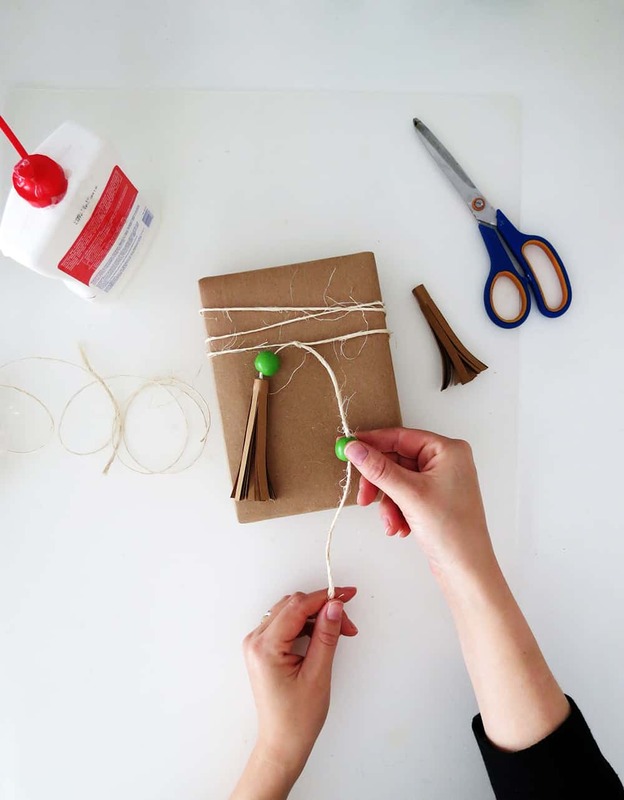 Wrap your present with craft paper, make a few loops with rope around it and attach it with a knot. Pass a bead through the rope end, cut the rope at the desired dimension and glue the tassel with the rope end. And done! 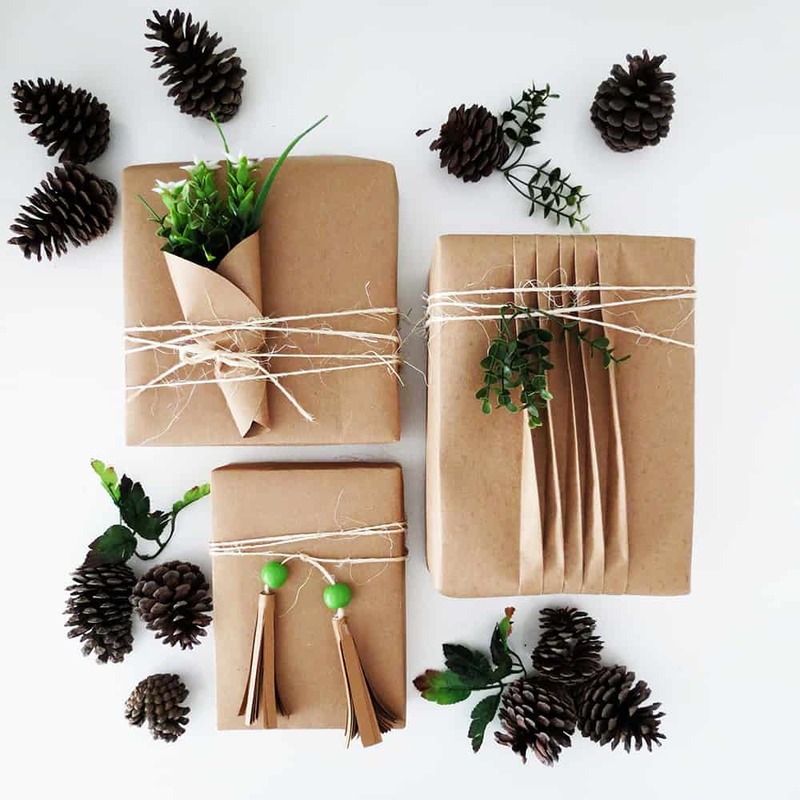 Quite simple to make pretty gift wrap with a few supplies! So tell me, which one is you favorite gift wrap? 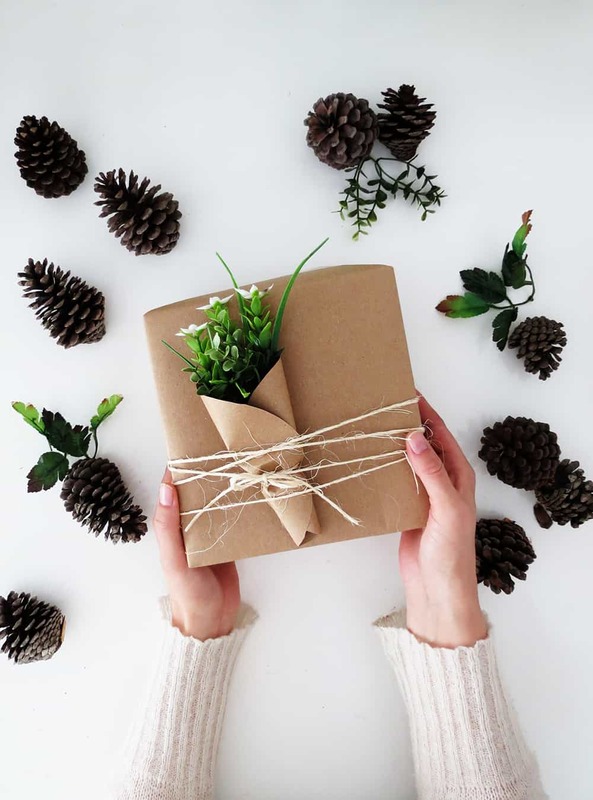 Très chouette, bonne idée pour les cadeaux du nouvel an ! Bisous !